Plain rounded 3.6cm replacement zip tag. 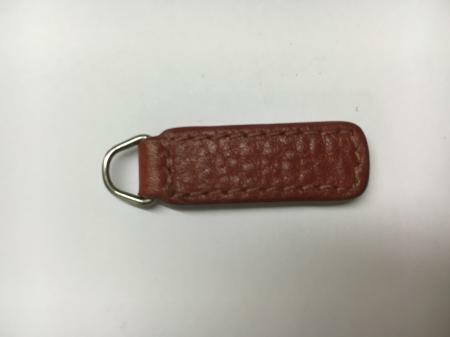 This range of 3.6cm leather replacement zip tags by Radley has rounded ends and comes with a nickel split dee ring. It is neatly edged to match the main part of the tag. The tag is available in: rose pink, dark taupe or terracota. Make your choice of colour from the pull down menu below.